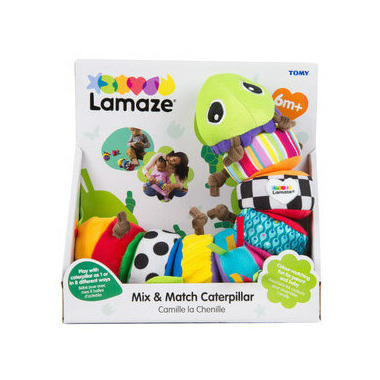 Baby can discover new sounds, colorus and textures with The Lamaze Mix and Match Caterpillar. 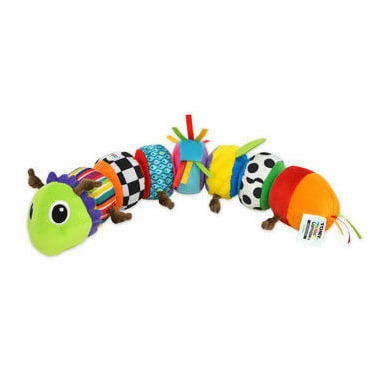 This cute caterpillar is a soft toy and colour-matching puzzle all-in-one! Mix and Match Caterpillar is made up of eight separate segments that easily join together. Let baby take apart or put together the caterpillar any way they choose, or play a colour matching game with baby. Give him a shake and a squeeze and baby can discover delightful squeaks and chimes.